Forsooth, the land turns round as does a potters wheel. I will cause the Sun to go down at noon and I will darken the Earth in the midst of daytime. One whole day went without the sun. But the burning world gave light. The polar wobble that began in November is the first sign of the Earths participation in the slow 270° Roll that Planet X does to position itself, magnetically, above the Ecliptic rather than below the Ecliptic. 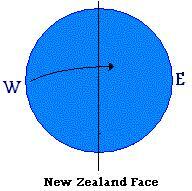 It is caused, as we explained, by the magnetic N. Pole of Earth avoiding any exposure to the emerging N. Pole of Planet X. As the Earth normally rotates around its geographic N. Pole, the magnetic N. Pole is exposed for half the day, and then hidden for the other half of the day. This initially results in a Drunken Lurch to push the magnetic N. Pole out of view, a twice a day polar wobble, but rapidly evolves into twirl. This is due to the magnetic N. Pole being either to the right or left of the geographic N. Pole as the globe turns, responding to the emerging hose of magnetic particles from the N. Pole of Planet X as it turns about, in place. 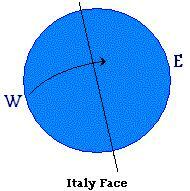 It turns in place in a clockwise manner to face its N. Pole away from the Sun. This presents two magnetic situations for the Earth, in this poised position where the N. Pole of Planet X is toward the East and the S. Pole toward the West. Since the hose of magnetic particles is coming from the East side, when Europe faces Planet X there is a strong attraction between the highly magnetized southern Atlantic Rift and this emerging N. Pole. This portion of the Earths crust, the southern portion of the Atlantic Rift, is pulled as Europe is emerging into dawn, creating the European tilt where the Sun seems to be too far to the NW. 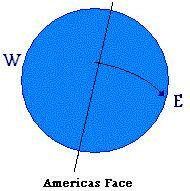 As the magnetic N. Pole of Earth comes into view for dawn in the Americas, this N. Pole is repulsed by the N. Pole of Planet X in the East, causing a tip away of the Earths magnetic N. Pole, the Americas tilt, where the Sun seems to be too far to the SW. As the globe turns and the magnetic N. Pole of Earth escapes out of view, this tilt is relaxed to assume a simple severe tilt of both the magnetic and geographic N. Poles of the Earth away from Planet X, giving the Pacific tilt, where the Sun is simply too far to the South. 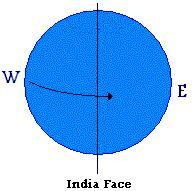 Moving to the last quarter of the day, when the magnetic N. Pole of Earth is hidden, the Earth can assume a more normal Winter posture, the India posture. Where does this twirl place the Earth, as she moves into the time predicted in the Bible and reported in folklore, known as the 3 Days of Darkness? This twirl becomes more extreme, as the hose of magnetic particles from the N. Pole of Planet X is turned more directly at the Earth. While twirling, the Earth finds it can expose its magnetic N. Pole less and less, and the northern hemisphere finds itself twirling in darkness, eventually. This does more than affect the degree of sunlight the northern and southern hemispheres receive, but that is another days ZetaTalk on this subject.